Model QES1508-109 8.4 In LCD replaces Allen Bradley 1784-T30G, 9 In Monochrome CRT Monitor used in Allen Bradley Plant Floor Terminal 1784-T30G. 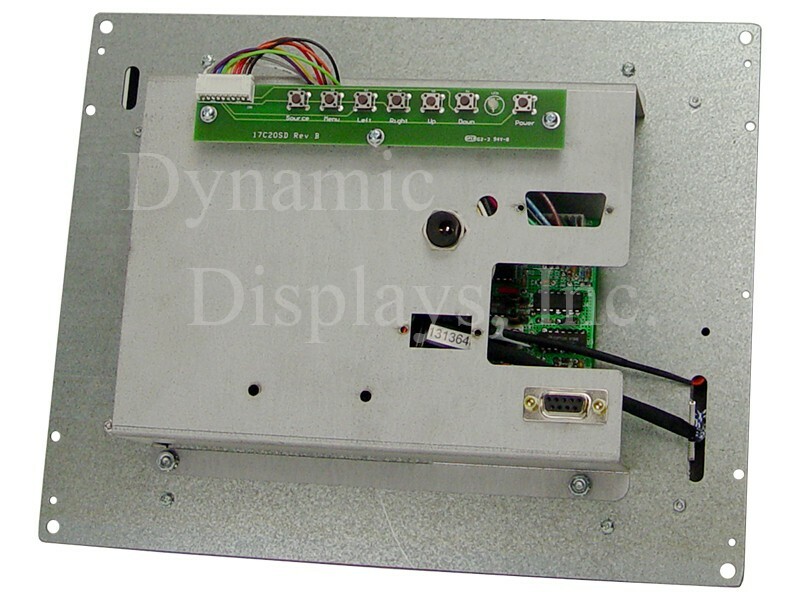 Industrial Panel’s QES1508-109 is a 8.4 inch LCD Allen Bradley retrofit monitor designed to be a drop-in replacement display for 9” Monochrome Allen Bradley Monitors such as the Toshiba CRT Display Unit D12CB76 and the Cardinal Model CM1210-01 12” CRT monitor used in the Allen Bradley Plant Floor Terminal 1784-T30G or Allen Bradley 8400 CNC Machine Control Systems. Its rugged, steel chassis is designed to drop into the original CRT mounting holes of the Allen Bradley 9” Monochrome CRT, making it unnecessary to replace the original chassis. 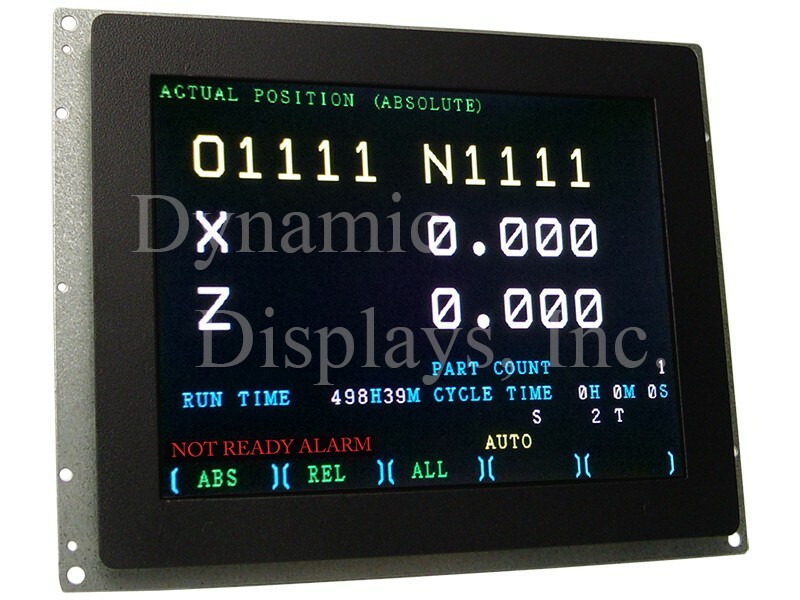 The video input of the QES1508-109-109 Allen Bradley retrofit monitor accepts TTL video signals from the original QES1508-109 with no need for signal adapters of any sort. This Allen Bradley Retrofit Monitor has been optimized to operate on these and other legacy systems as well. These Retrofit Allen Bradley Monitors are more reliable and perform better than the older 9” Monochrome Allen Bradley CRT monitors and makes this versatile LCD monitor an excellent choice for your next Allen Bradley Monitor Replacement and other industrial legacy display systems. Equivalent Model Numbers: 1784 T30G SERIES B, 1784_T30G SERIES B, 1784T30G, 1784T30G SERIES B, 1784T30GSERIESB, 1784-T30G-SERIES-B, ALLEN BRADLEY 1784 T30G SERIES B, ALLEN BRADLEY 1784_T30G SERIES B, Allen Bradley 1784T30G, ALLEN BRADLEY 1784T30G SERIES B, ALLEN BRADLEY 1784T30GSERIESB, ALLEN BRADLEY 1784-T30G-SERIES-B, Allen Bradley 96732801, Cardinal CM121001, Cardinal Model CM1210-01.